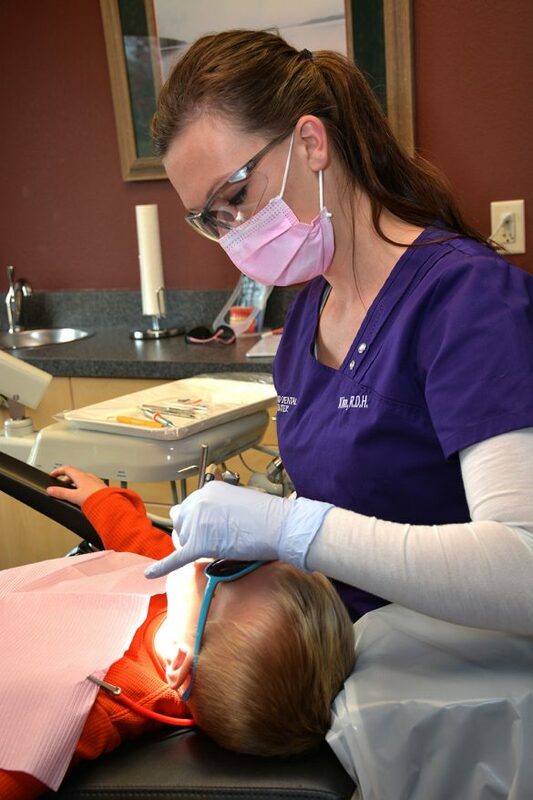 At Grand Dental Center, we believe that preventative care and education are the keys to optimal dental health. That is why we focus on thorough exams – checking the overall health of your teeth and gums, performing oral cancer exams, and taking x-rays when necessary. We know that routine cleanings, flossing, sealants, and fluoride are all helpful in preventing dental disease. Not only are we focused on the beauty of your smile, we’re also concerned about your health. A review of your medical history can help us stay informed of your overall health, any new medications, and any illnesses that may impact your dental health. The American Dental Association (ADA) recommends twice a year professional cleanings and dental exams. Your dental hygienist will demonstrate proper brushing and flossing technique to minimize plaque and tartar build up between preventive care visits. After your dental cleaning, your dentist will examine your teeth and make any necessary recommendations for at home oral hygiene and/or follow up dental treatment.